Nick Bashall is one of England’s leading portrait painters. He is exclusively represented by Fine Art Commissions, St James’s. Born in England and raised in Zimbabwe, Nick returned to the UK to study law at Cambridge – where he was also the heavyweight boxing blue. A stint in London with one of the big solicitors’ firms preceded six years working in Pakistan and Dubai, saving up the money to study painting full time. He then trained under the Spanish maestro Joaquin Torrents Llado in Majorca for five years before becoming a full time artist in London in 1997. 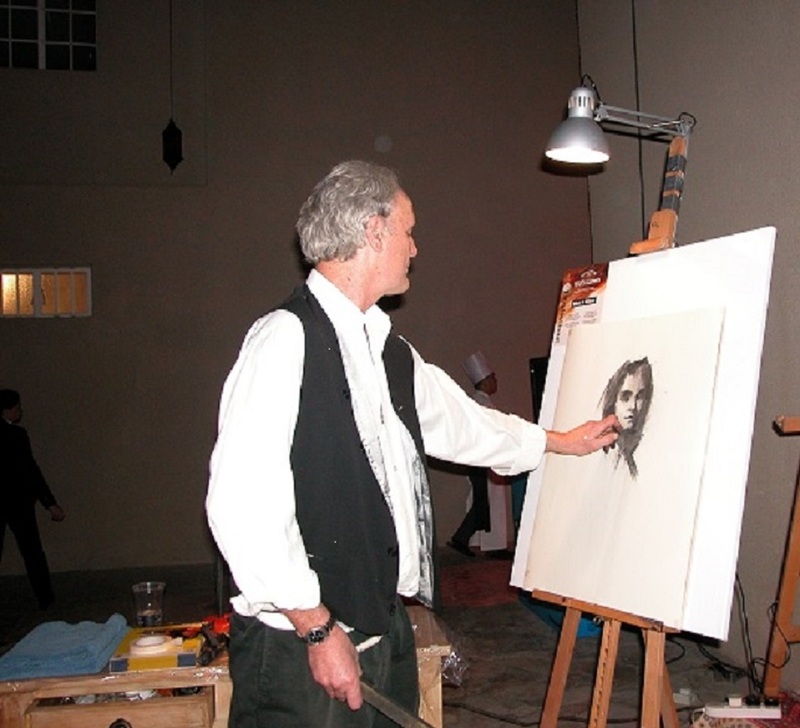 Now, nearly twenty five years later he has earned a reputation as a prolific portrait artist. His many illustrious commissions include: HRH Princess Anne, Bill Powers President of the University of Texas, HRH Princess Michael of Kent and the former head of the British army General Sir Michael Jackson. He is also renowned for his portraits of children, in both oil and charcoal. In addition Nick has a couple of intriguing side shows. As a war artist, he’s painted on the streets of Kosovo, Afghanistan and Iraq in front of hundreds of locals – guarded by the British Army. He regularly performs as a painter at Glastonbury, Secret Garden Party and Wilderness. These festivals provide him with a large tent where he and some of his former students paint festival goers from life accompanied by DJs. Nick works from life to commission. For details contact the gallery.